First, I want you to know that YOU DESERVE A FULFILLING LIFE tailored just for you! We all go through difficulties in life & relationships, and mine has been no different. I raised two teens myself, a son and daughter, as well as hold a degree in Social Science. I've spent years working in social services with families, youth, and teens with high success and highest of rating by clients and youth. As a Certified Professional Coach, we partner together, allowing you to most effectively obtain more satisfying relationships which includes more effective ways to communicate and tackle issues. This is a win-win relationship as we journey together to reach the goals you desire. I want you to know that I believe you deserve a positive, fulfilling life and family. Susan is a Certified Professional Coach and an Energy Leadership Index Master Practitioner (ELI-MP) Life Coach. The traits a life coach must possess, good listening and organizational skills, success at getting others to look introspectively, knowing how to guide people with step-to-step instructions, patience, empathy, and staying with clients until goals are reached are those which describe Susan Lopez wholeheartedly. Skilled at getting clients to look inward to identify problems that are holding them back, The Life Tailor asks empowering questions to clarify the issue for the client and helps them understand they have the answers and simply need help finding the solution. Coaching with Susan is easy. She coaches one-on-one by phone throughout the United States, by Skype-chat sessions internationally, or if in the Dayton, Ohio area face-to-face coaching sessions are available. She is available for speaking engagements as well as presenting a 4 to 8 part relationship and communication skills building class to groups and students. "An inspiration. You (The Life Tailor) makes a difference in this world of ours and that is not a common thing today. It is unique." "Susan has been essential in providing youth, including myself, a place to learn the meaning of community and volunteerism. 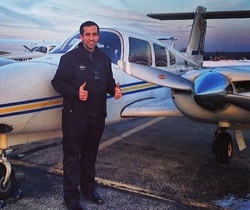 I'm now a pilot and enjoying life." "Without a doubt Mrs. Lopez has inspired me to strive to be as passionate about helping others as she is. She has taught me a lot about myself and has left a never ending impact that will carry through to any and everything I do in the future. Her devotion to helping others and strengthening bonds is beyond inspiring. " "I can change my life. I don't have to live in the past or what life has dealt me. Susan is a generous and kind woman who helped me through a rough part of my life. I am very grateful."